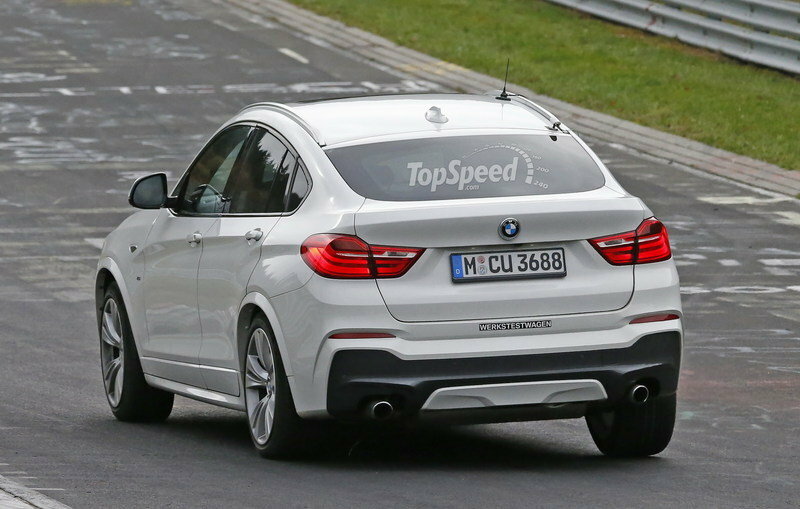 It will take an expert’s eye to spot the upgrades to the M40i, though there are differences nonetheless. 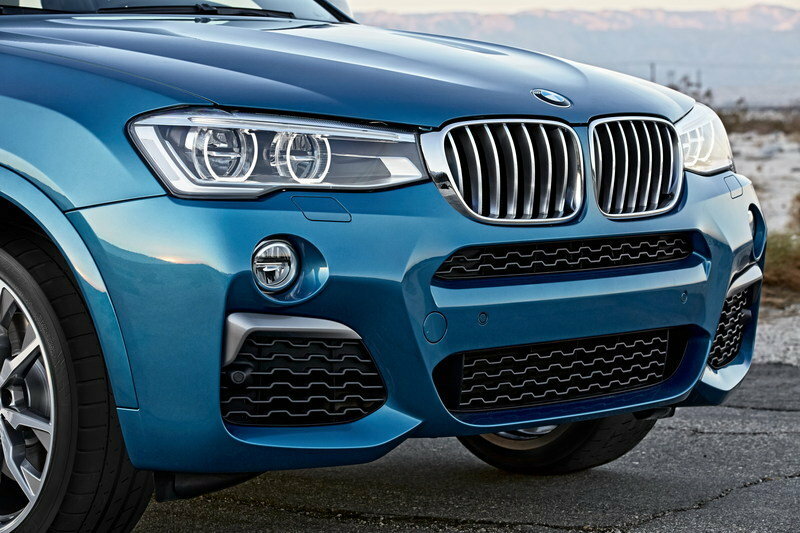 The M Performances option adds satin chrome accents just below the fog lights within the grille. BMW calls the color “Ferric Grey” and it’s also found on the side mirror caps. For those who order the optional 20-inch M Light-alloy, double spoke wheels, the Ferric Grey also appears there. 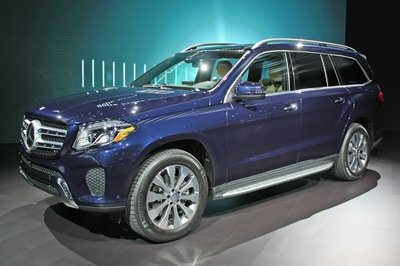 Around back, the biggest difference will be the M40i badging on the tailgate. Besides that, the tailpipes are finished in a Black Chrome color. Beyond aesthetics, The M40i comes standard with 19-inch, double spoke alloy wheels wrapped in your choice of all-season run-flat tires or performance run-flats. Optional are those 20-inch wheels paired with high-performance Michelin Pilot Super Sport tires. 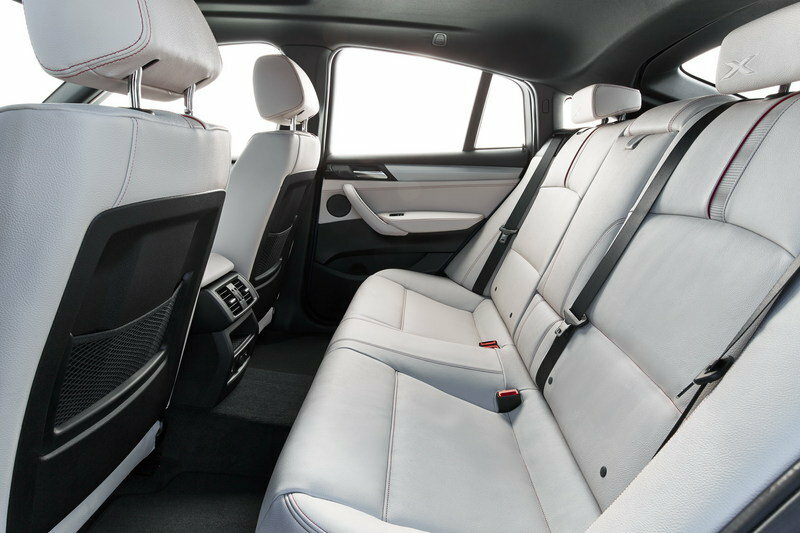 Like the outside, the interior retains most of the X4’s original design. 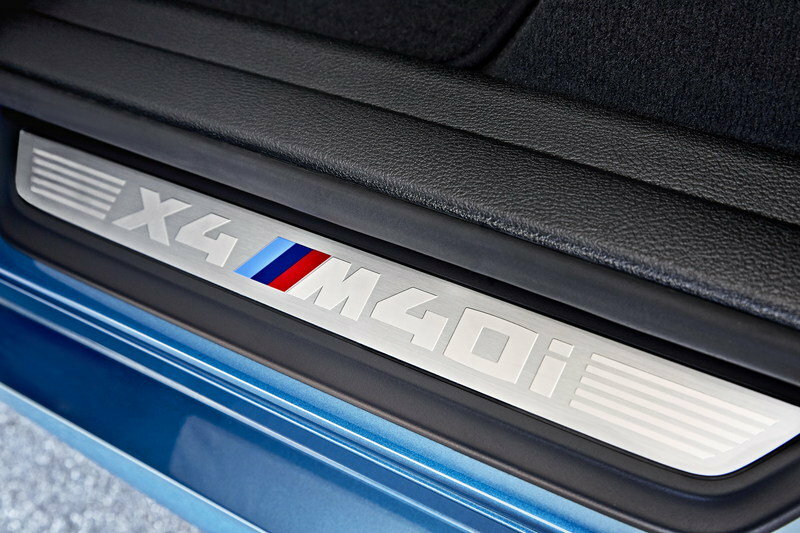 The M40i option adds an M leather-wrapped steering wheel, M gear shift lever, sport seats, and door sills with “X4 M40i” lettering. That same lettering also appears on the instrument cluster. The remainder of the dashboard is BMW as usual. The iDrive screen is perched within the dash at the top of the center stack. Small buttons and knobs control the HVAC functions while an even smaller knob controls radio volume. Most other inputs are done by the large iDrive controller. Much improved over years past, the iDrive system does everything from navigation and radio to vehicle settings and oil change reminders. 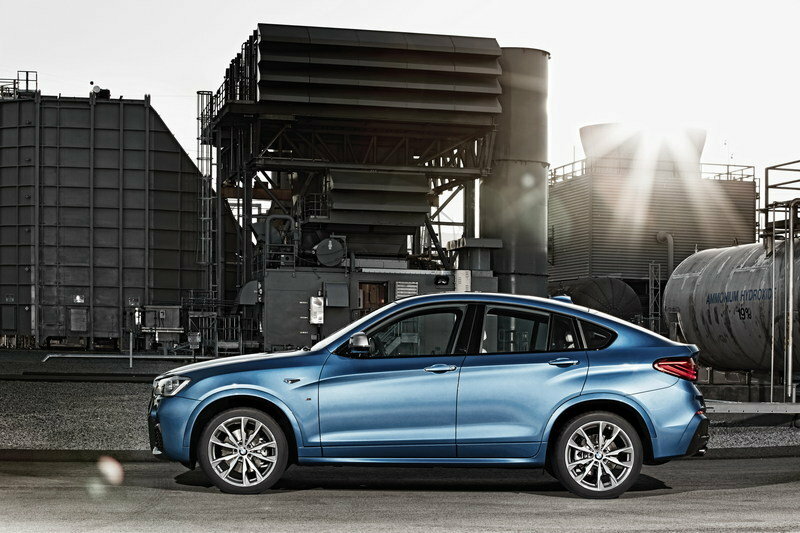 Thanks to the X4’s sloping roof, rear-seat headroom and cargo room are cramped. 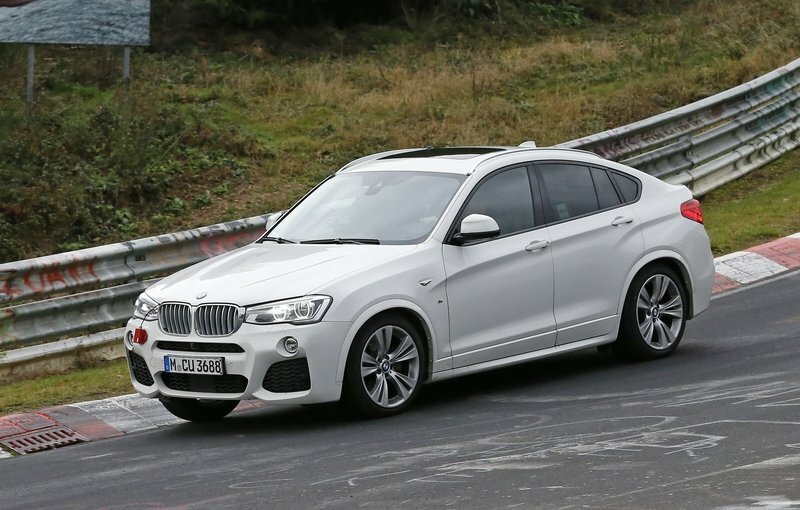 It is perhaps easiest to consider the X4 a hatchback with big wheels and a somewhat tall ground clearance. Now to the important stuff. 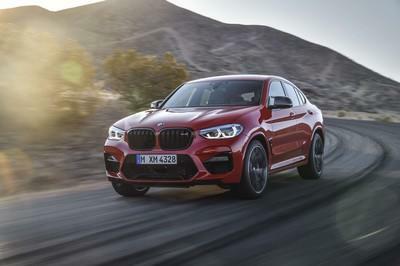 As mentioned before, the M40i comes powered by the same 3.0-liter TwinPower inline six-cylinder as the standard X4, but is tuned to give 55 more horsepower and 43 more pound-feet of torque. The tune includes increased boost from the turbo matched with high-flow fuel injectors. 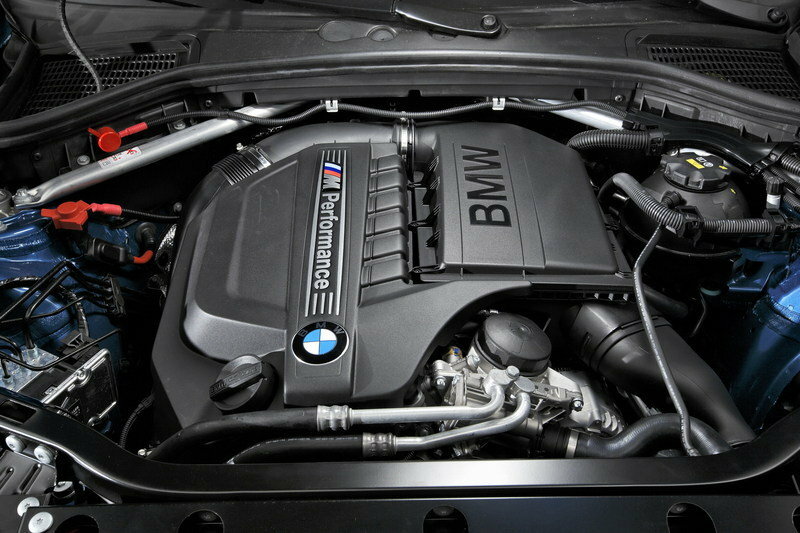 An aerodynamically tuned air intake manifold, along with a free-flowing exhaust system helps with breathing, while a separate oil cooler keeps temperatures in check. 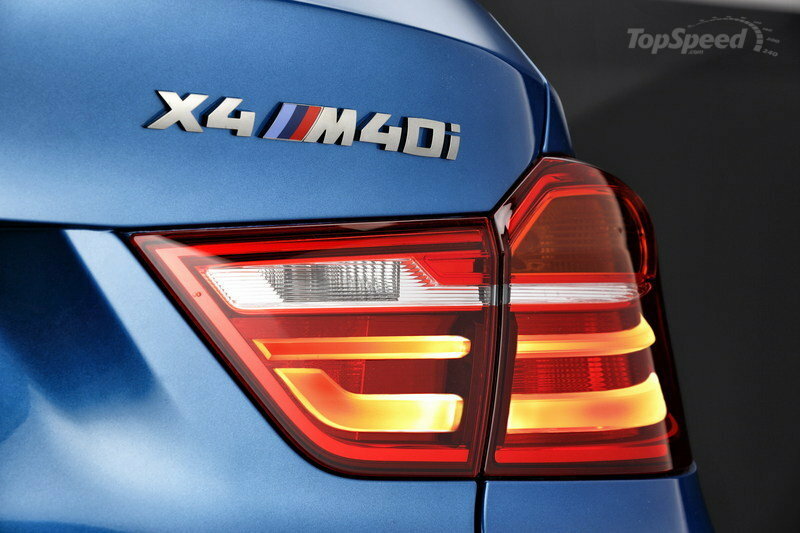 The M40i comes standard with BMW’s xDrive AWD system and the eight-speed automatic transmission remains unchanged. All told, the engine kicks out 355 horsepower between 5,800 and 6,000 rpm and 343 pound-feet of torque from 1,350 through 5,250 rpm. 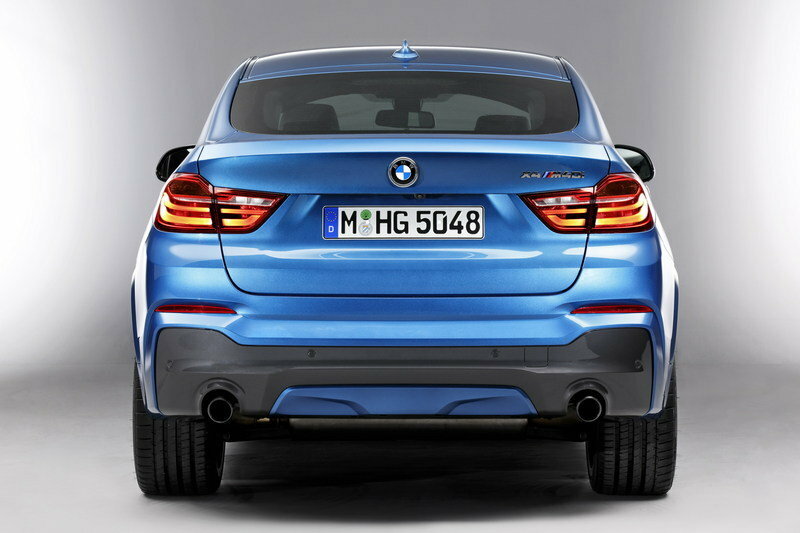 That’s enough to push the M40i to 60 mph in 4.7 seconds – down from 5.2 seconds in the standard X4. Top speed is governed at 150 mph. 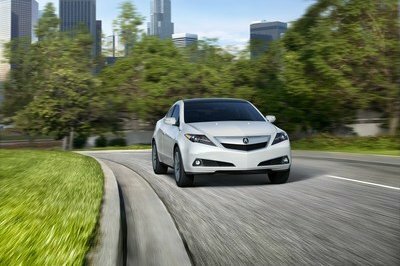 Matching the extra power is a sport-tuned suspension and meatier brakes. Stronger springs and stabilizers help keep body roll to a minimum while increased camber on the front wheels helps with turn-in and steering feel. 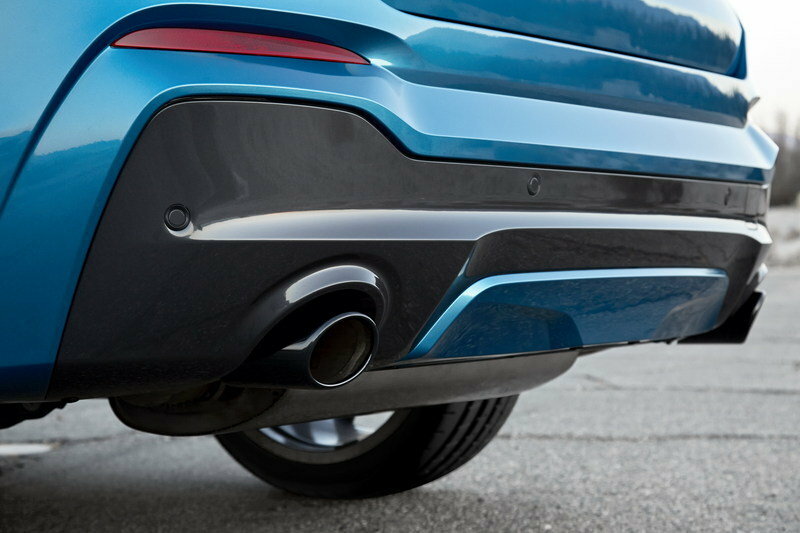 Adaptive dampers from the M Performance department keep road imperfections from slowing the M40i’s roll, while giving it a stiffer ride for better handling. 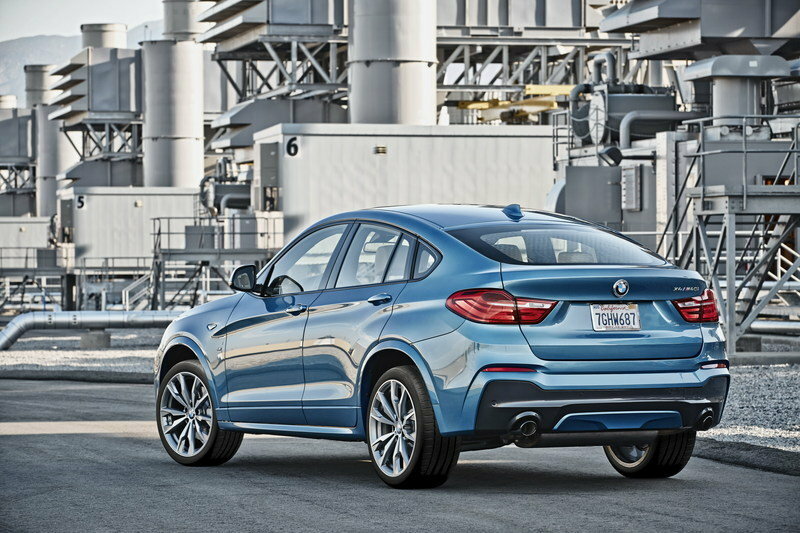 The BMW X4 has not been crash tested by either the IIHS or NHTSA at the time of this writing, but the crossover does include plenty of active and passive safety systems. 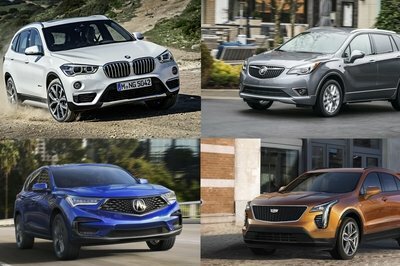 They include front, side, and overhead airbags; seatbelt pretensioners, anti-whiplash head restraints; and all the typical electronic stability control features found in modern crossovers. 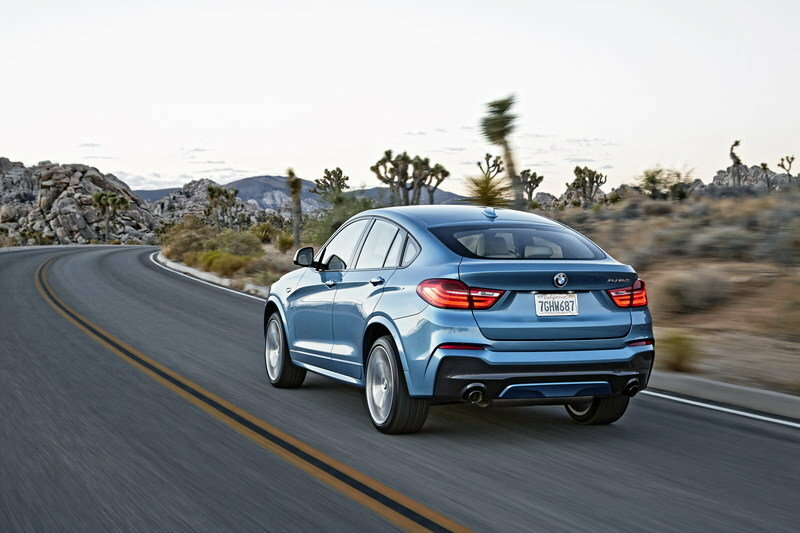 The new BMW X4 M40i will fetch $57,800 before options when it goes on sale in February 2016. The sticker doesn’t include destination and handling fees. 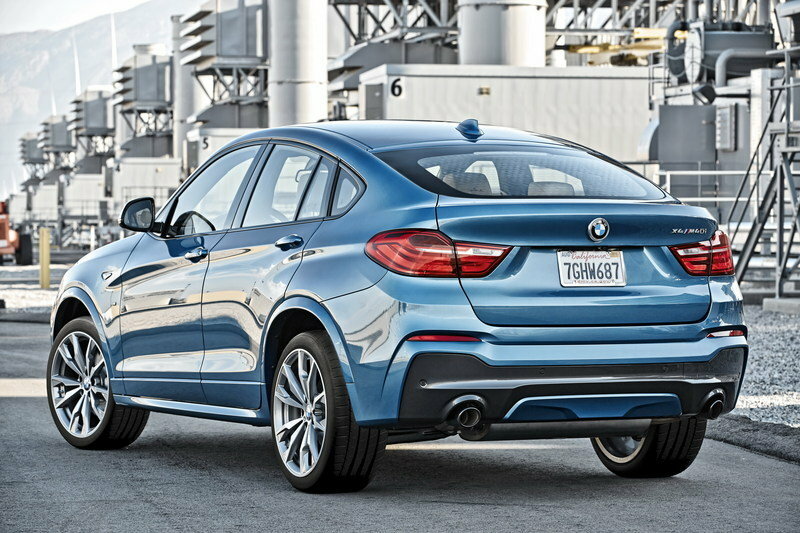 The M40i badge adds a $12,500 premium over the base xDrive28i and a $8,100 premium over the xDrive35i. 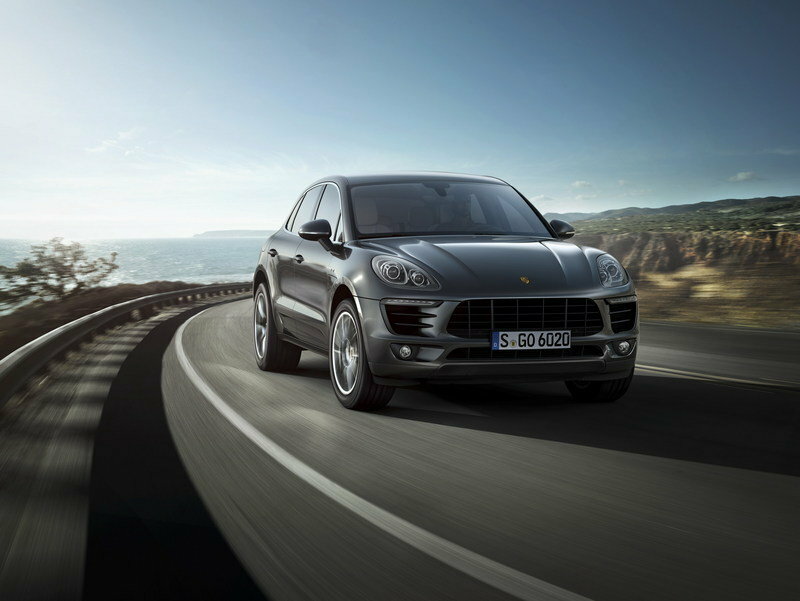 The Macan is an exciting new offering from Porsche. Based on the competent Audi Q5 platform with a bevy of Porsche-specific upgrades, performance is blistering, and the Macan has already been touted as offering a better all-around driving experience than the Cayenne. Performance is stout, with a choice of two twin-turbocharged, V-6 engines coupled with the acclaimed, seven-speed PDK transmission. Power is routed to the ground via Porsche’s rear-biased all-wheel-drive system. 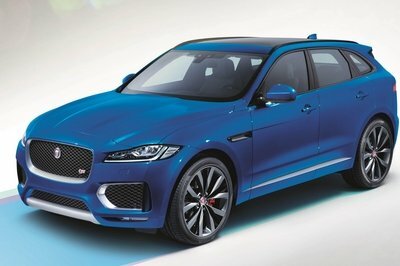 The base Macan S makes 340 horsepower from its 3.0-liter V-6, while the Macan Turbo uses a larger, 3.6-liter version that increases output to an even 400 horsepower. Prices start at $49,900 for the base Macan S, while the Macan Turbo beings life at a cool $72,300. Expect, in typical Porsche fashion, to pay an exorbitant amount more once the option list starts filling up. 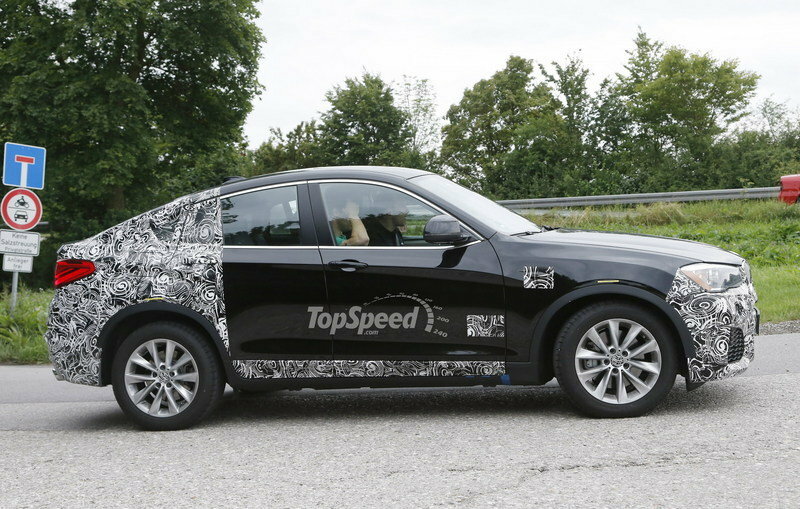 Don’t discredit the Q5 line simply because Porsche tweaked the platform with its own version. 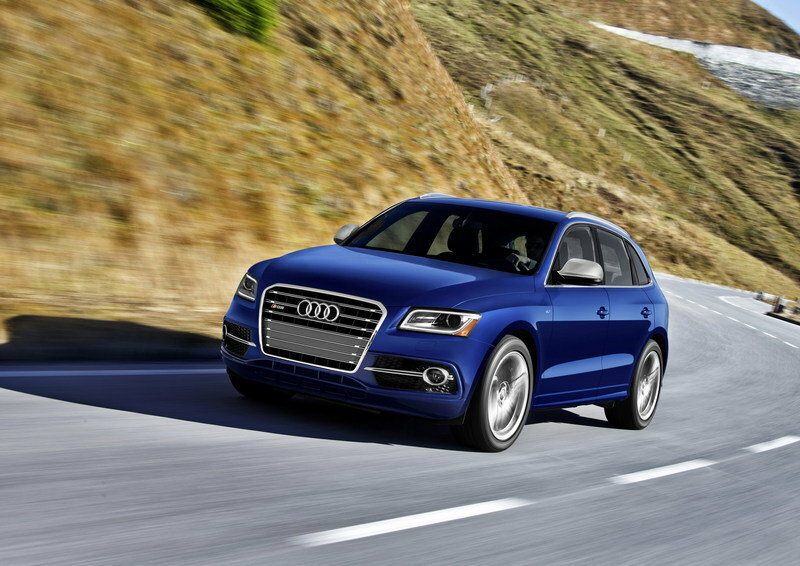 The SQ5 takes the already agile Q5 and adds the brand’s supercharged, 3.0-liter V-6. Classy styling upgrades and special badges complete the package. In the SQ5 application, additional ponies have found their way in, with 354 being the official horsepower rating. The torque rating is a hefty 347 pound-feet. 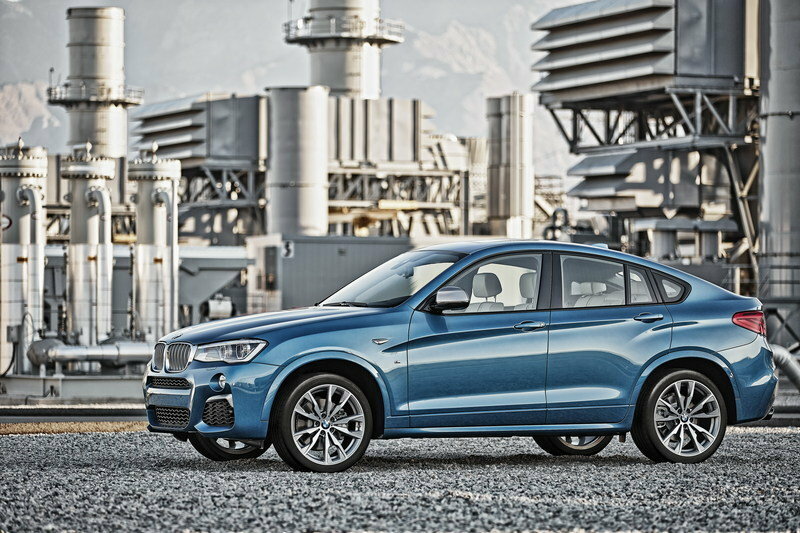 Power reaches the ground via Audi’s legendary quattro all-wheel-drive system, and cog-swapping duties are handled by the praised ZF eight-speed automatic transmission, re-tuned for duty in the SQ5 for faster and crisper shifts. Pricing for the SQ5 begins at a not-too-bad $52,795. Seeing as this is the top-dog offering in the Q5 lineup, compared with the previously mentioned Porsche Macan, this is a relative bargain. 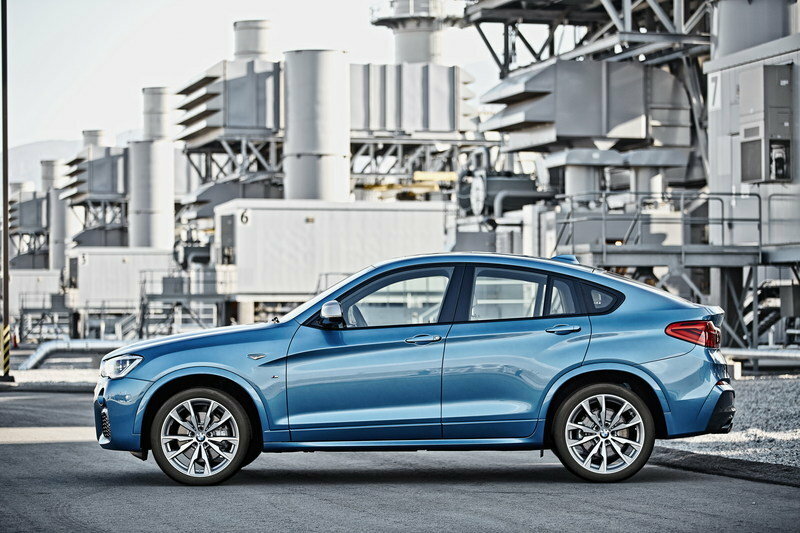 This is also very competitive with the current BMW X4’s pricing. The upgrades BMW has fitted to the X4’s sporty edition should make it a great stepping stone between the regular X4 and the more purpose-built X5 M or X6 M. This M Performance package will attract folks looking to canyon carve on their way to work while still hauling their family to grandma’s house on the weekends. The M40i isn’t too outrageous, but is just potent enough to make a statement. 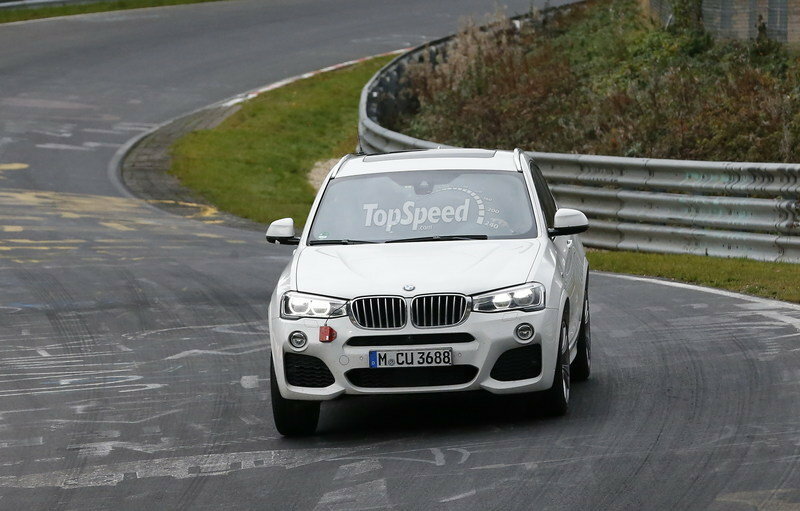 And that seems to be working for BMW’s other M Performance models. 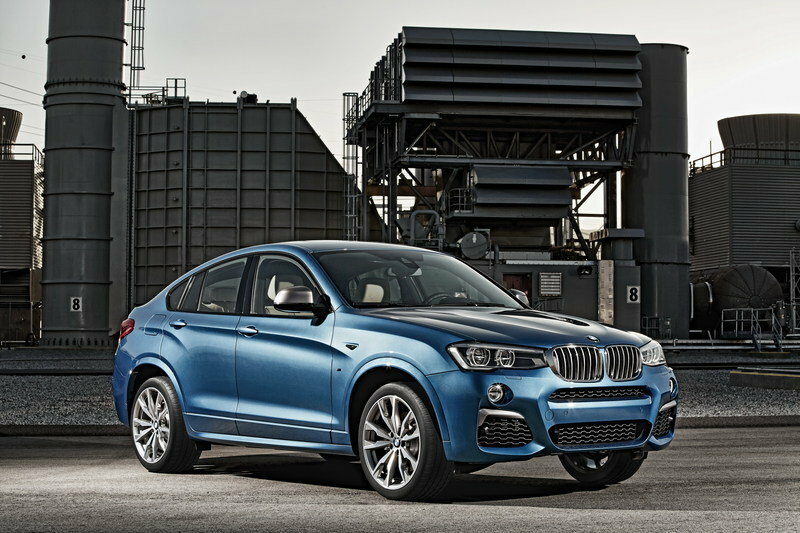 Updated 10/01/2015: BMW dropped the official details on the new X4 M40i which will be available at dealers starting February 2016. 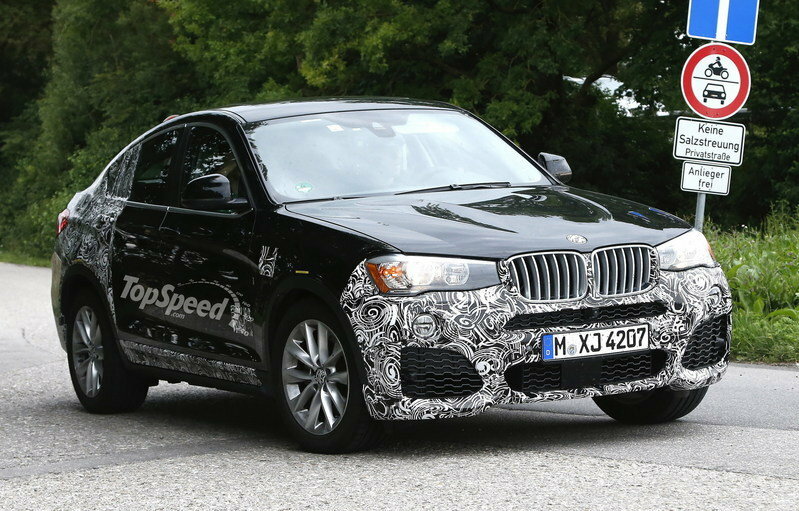 Updated 09/25/2015: BMW Blog reports that the upcoming X4 M40i will be powered by a new 3.0 liter turbocharged inline-six engine - most likely the same one that will be used in the 2016 BMW M2 - with an output of 360 horsepower. 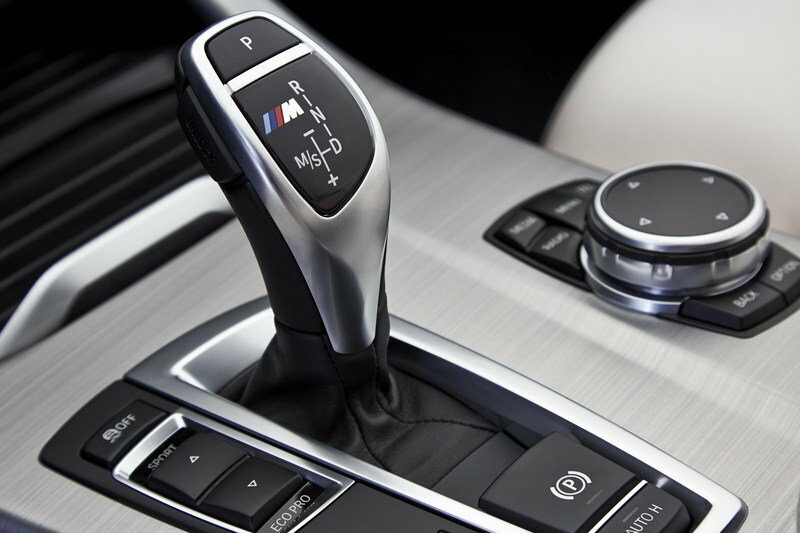 xDrive - BMW’s intelligent all-wheel drive system.